The passion to bring technology to those in need has been a strong bond between Microsoft and Gawad Kalinga, and together they have organized events like Innovate4Good and Microsoft Hour of Code to bring technology to inspire the youth for social change. With the onslaught of Yolanda, they have again joined hands, this time to bring technology to Filipino entrepreneurs. 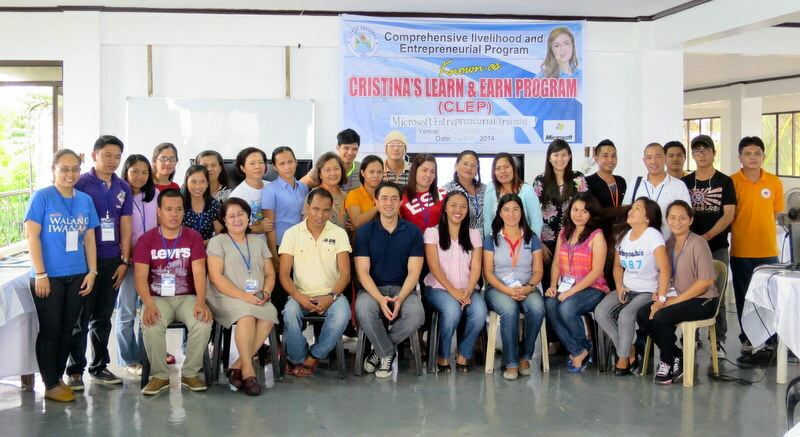 Last June 20-21, 2014, the “Microsoft Entrepreneurial Training” was held in Tacloban City for SMEs as part of the local government’s Comprehensive Livelihood and Entrepreneurial Program known as “Cristina’s Learn and Earn Program” (CLEP), through Hon. Cristina Romualdez, City Councilor of Tacloban. 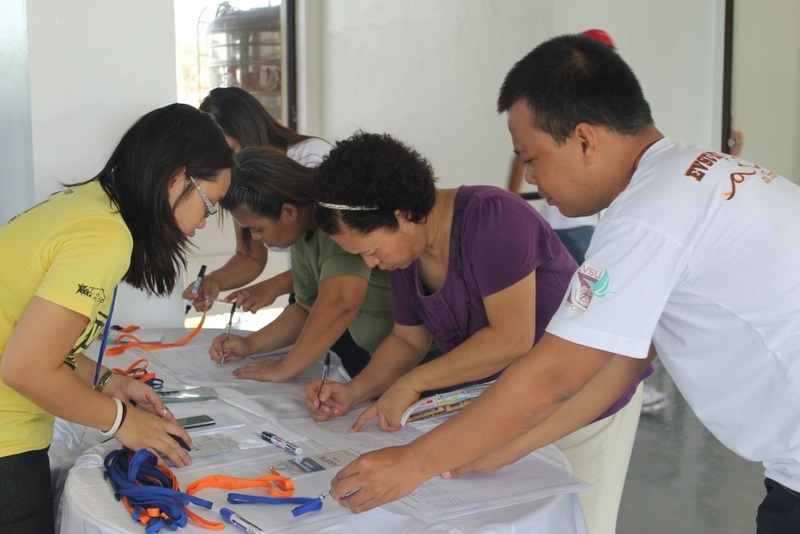 The two-day program was attended by 30 entrepreneurs and would-be-entrepreneurs in Tacloban City. On the first day of training, one by one the invited participants came, armed with their laptops (and even desktops), all set to learn. But as they settled in their places, the electricity went out and the organizers started to wonder how the training would go about since most of the modules were technology-based. The program came to a halt, as things were getting patched up. And the people used that time to know other participants and go look around. Looking around the building, there are still traces of Yolanda’s wrath. The Balyuan Building, where the training was held, is still in its reconstruction phase - windows and doors are still being replaced and walls are being repainted. Peeking through the window, there was the view of the Balyuan Amphitheater where big celebrations and concerts were once held - and now it's roofless. The view of the calm seas made one wonder how this beauty was able to bring such destruction to this glorious city, and how Tacloban will rise again. A few moments later, the participants were in for a treat, as they witnessed the “Balyuan Rites.” They had a good view as the ceremonial transfer of Sto. Niño’s image from Basey in Samar to Balyuan in Tacloban City, took place. Despite everything that this city went through, its traditions continue - a very good sign that Tacloban will move forward. And then, just a few minutes after, the lights turned back on. 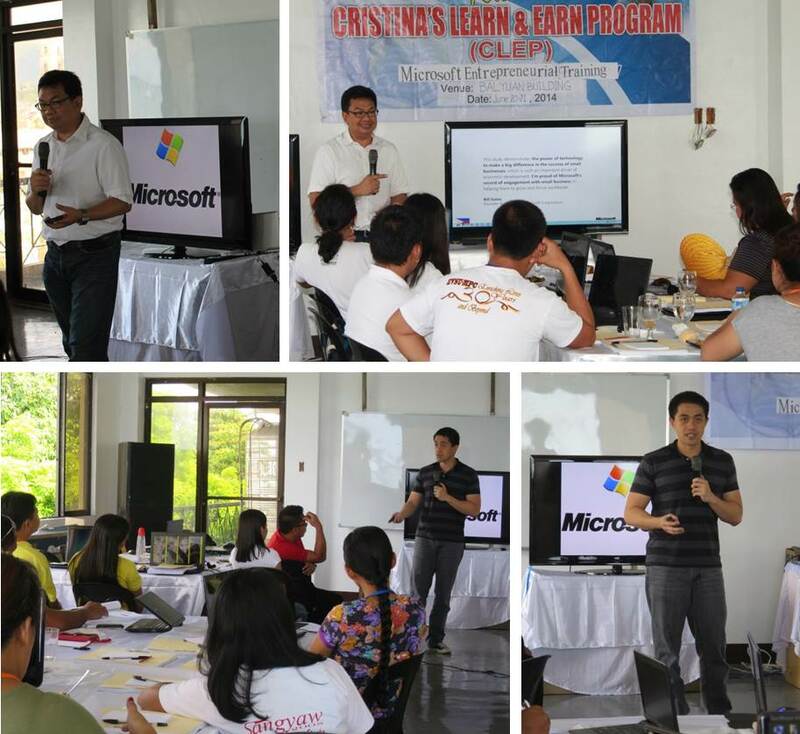 The program was opened by Mr. Raul Cortez of Microsoft Philippines. He talked about how technology makes a big difference in the success of small and medium enterprises. But most importantly, he said that technology is about empowering people and that's what Microsoft is doing - continuously empowering people by providing ICT training to fuel entrepreneurs and more. The training was led by Mr. Carlo Calimon, a Go Negosyo Speaker, an Innovator and an Entrepreneur to a number of businesses. He started by getting to know each of the participants – it was a good mix of entrepreneurs, employees and students – all eager to learn about technology. What does it takes to be an entrepreneur? That was the main focus of the first day – participants were asked to draw their dreams, how they envisioned their future to be. 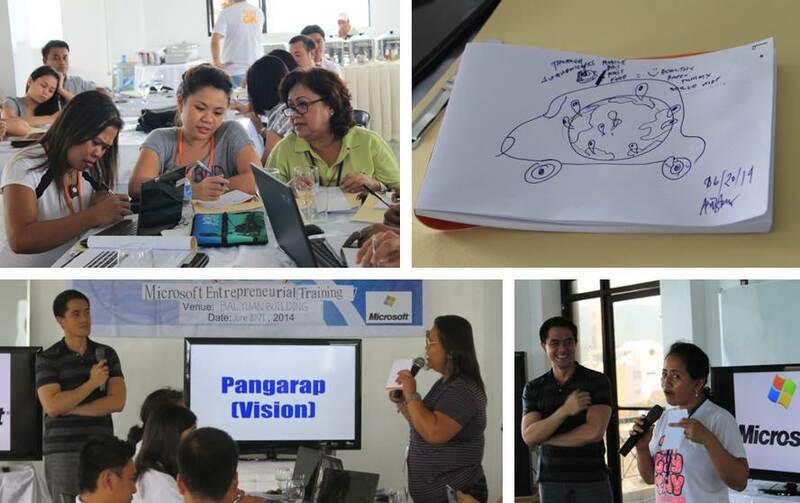 Some even got to share their vision not just for their own businesses but for Tacloban City also. The second day started with the same level of enthusiasm as the first day. And it was easy to continue where they left off. With the rooted entrepreneurial mindset, they were tasked to do case analyses to exercise their analytical skills to solve some problems that they might face in the real world as they build their business. Furthermore, Carlo introduced them to using Microsoft Office and showed how it could be helpful for business. They were taught how to use MS Office Excel for their financial documents – how to use graphs and pivot table; MS Office PowerPoint as a presentation tool; and MS Office Word in doing flyers. He shared success stories of ordinary people dreaming for extraordinary things. And the training finished on a high note - inspiring each and every one to pursue their dreams. Seeing how much impact there are for these people, Microsoft and Gawad Kalinga will surely continue pursuing these kinds of projects to empower people through technology.